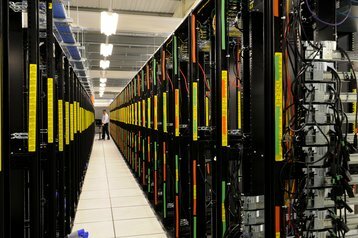 Rackspace plans to acquire managed cloud services company Datapipe, adding 29 data centers across nine countries to its portfolio, along with 825 employees. Terms of the deal, which is expected to close in Q4 2017 pending regulatory approval, were not disclosed, but Rackspace did say that it would become “by far” the biggest acquisition in its history. “Our customers are looking for help as they spread their applications across public and private clouds, managed hosting, and colocation, depending on the blend of performance, agility, control, security, and cost-efficiency they’re seeking,” Joe Eazor, CEO of Rackspace, said. Eazor took over Rackspace earlier this year after a period of turbulence for the company. In May, Rackspace’s CEO resigned, just months after six percent of the company’s US workforce was let go, along with a number of employees in other regions. The restructuring came three months after Rackspace was acquired by private equity firm Apollo Global Management for $4.3bn. With the rise of hyperscale cloud providers having battered Rackspace’s share price when it was public, the company has increasingly tried to focus on areas of its business that are growing - primarily managed services. That’s where Datapipe comes in: founded in 2000, it was one of the first major firms to get into the managed services business, serving customers such as Johnson & Johnson, McDonalds and Rubbermaid. “We are very proud of the business we have built and the innovations and successful customer outcomes we have been recognized for, and the future of Datapipe will be even brighter in combination with Rackspace,” Robb Allen, founder and CEO of Datapipe, said. Buying Datapipe gives Rackspace direct access to regions where it currently has little or no presence, including the West Coast of the US, Brazil, mainland China and Russia. In China in particular, the deal will provide Rackspace with access to managed services on Alibaba Cloud (Aliyun). Meanwhile, Datapipe customers - which include lucrative public sector clients like the US Departments of Defense, Energy and Treasury, and the UK Cabinet Office, Ministry of Justice and the Department of Transport - will gain access to Rackspace’s offerings. That includes managed services on Google Cloud, and enterprise applications like those in Oracle and SAP ecosystems.